Texas A&M University-Texarkana faculty are inaugurating an annual thematic program and lecture series around which the university has organized a variety of activities to engage students, faculty, and the Texarkana community. Many faculty members are actively participating by integrating the theme and lecture series into their classroom instruction. The goal is to create and nurture a community of learners, and a valuable component to this learning community is the Texarkana community. All of the program’s lectures and most of the events will be open to the public and the university will invite and welcome the community at large. The theme for 2017-18 was Science and Technology. The theme for academic year 2018-2019 is Gender Issues﻿. 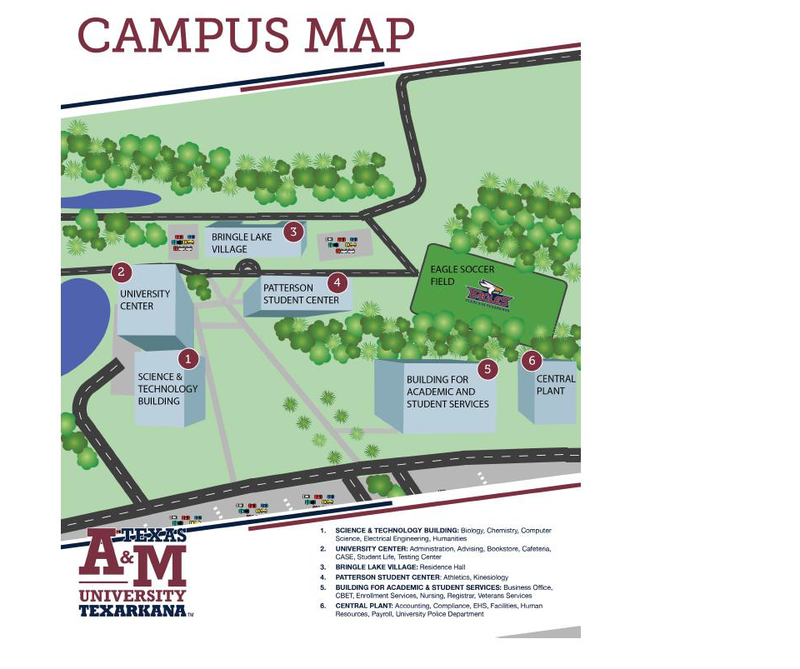 Please click below for some maps of the campus to help you better find the locations of our events!